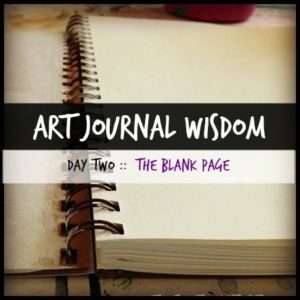 Welcome To Art Journal Wisdom! I am so happy you are here! 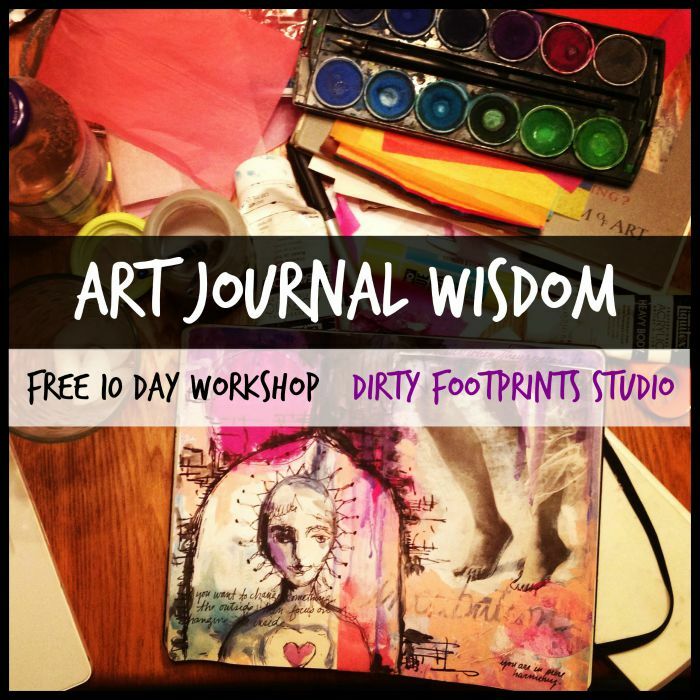 The intention of this FREE 10 day workshop is to get you creating in your art journal — maybe for the very first time ever or the first time in weeks, months or years! 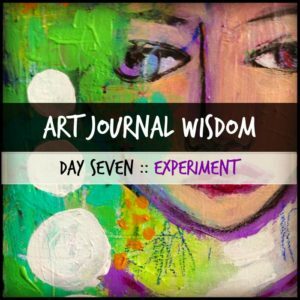 To participate in Art Journal Wisdom there is nothing to sign up for — no forms to fill out. Simply follow the links below that will take you to each daily dose of inspiration and wisdom! 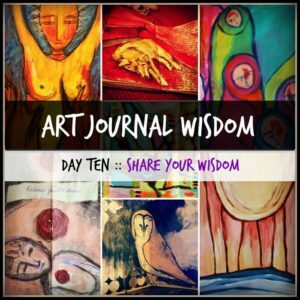 If you want to share your work with a community of artists venturing through this free workshop too then simply use the hashtag #ArtJournalWisdom whenever you post your photos to Facebook, Instagram, or Twitter! Love what you see here? Then sign up for my Dirty Footprints Studio newsletter below. 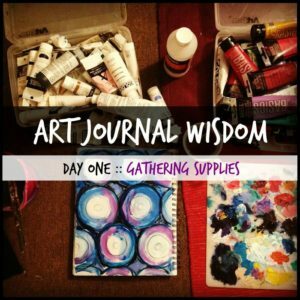 Here’s a detailed peek into the art journaling supplies I personally use to make art journaling accessible, fun, and affordable! After 20+ years of art journaling do you want to know my remedy for facing the blank page again and again and again? 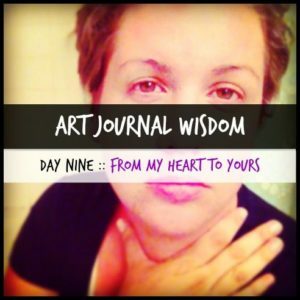 I share with you a healing and discreet way to write your heart out and then add it to your art journal. 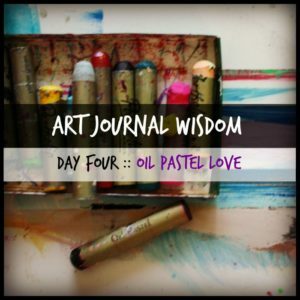 One of my absolute favorite art journaling mediums in the whole wide world are oil pastels and I demystify how to use them effectively and intuitively! 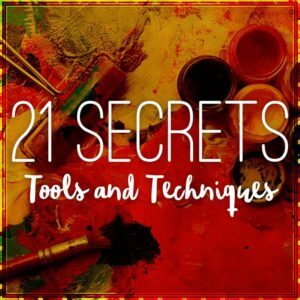 Artists Hali Karla, Lisa Wilson, and myself suggest three elements to use while art journaling today. Limiting yourself as an artist can be a powerful channel for creativity to flow! I get up early (almost) every day to attend to my daily Creative Spiritual Practice of “morning pages’. 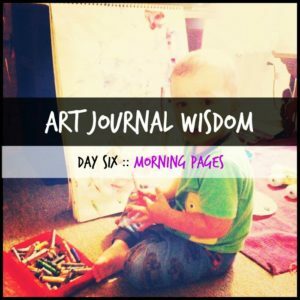 These aren’t the typical morning pages creative goddess Julia Cameron coined years ago…these morning pages come with a paintbrush! 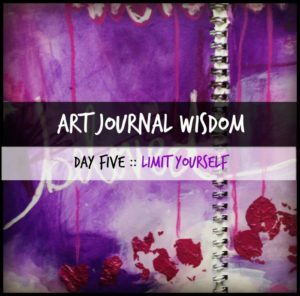 Art journaling is a great place to let your creativity run wild and experiment with various mediums and styles — but in today’s installment I share with you a practice I use to push my creativity to the limits and try something new! Overcome resistance and just do it! That’s the essence of today’s lesson and I share a powerful exercise to get those creative juices flowing! 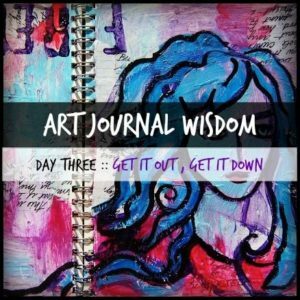 Remember there’s no right or wrong way to art journal — and other nuggets of art journal wisdom collected together here in one place! 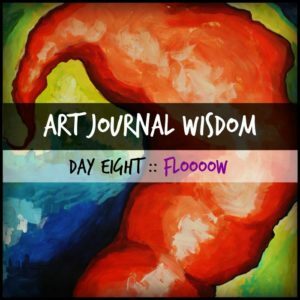 What is your art journal wisdom? 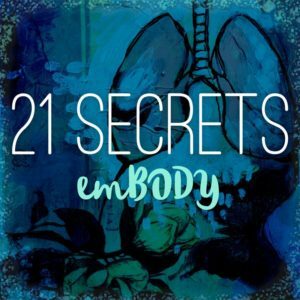 Come share your stuff! 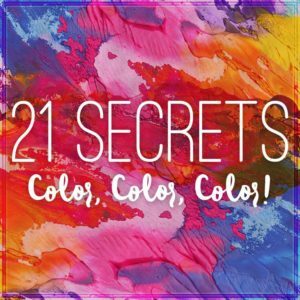 Hungry for more art journaling inspiration? 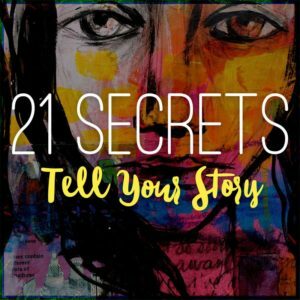 Then be sure to check out my 21 SECRETS Art Jouranling series! Click the images below to learn more.